Studying and preparing is vital to success in exams. It is, however, difficult to know how best to manage your preparation period until you have some experience. This page therefore offers some ideas, based on experience and expert opinion, to help those still quite new to exams. Some of these tips sound like ‘common sense’, and relate to the importance of looking after yourself. Others are more about how you do your studying. Both types are important, and will help you to both study better, and perform better in the exam. There is no substitute for starting early with revision. You need to give yourself enough time to review everything that you have studied, and make sure that you understand it (or to read round the subject or ask for help if you are struggling). Last minute cramming is much less productive. Ideally, review each subject as you go, and make sure that you understand it fully as this will make revision much easier. Ultimately, the best tip is to study hard and know your subject, and starting early is the best way to achieve this. You will almost certainly find some subjects easier than others. You will also find that you have more to revise for some subjects than others. It is worth taking the time to plan your revision and consider how much time you might need for each subject. It is also helpful to consider when and how long you plan to spend studying each day. How much time will you be able to manage each day? What other commitments do you have during your study period? Plan your revision to ensure that you use your time to best advantage. When is the best time of day for you—morning, afternoon or evening? Can you do more reading at particular times? This will help you to plan broadly what you intend to do, although you should always make sure that you leave it flexible enough to adapt later if circumstances change. 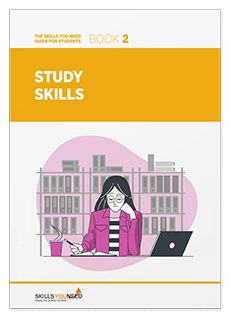 There is more about this in our pages of Top Tips for Studying and on Getting Organised to Study. You will be able to work better if you eat a healthy diet, and get plenty of sleep. This applies both during your exam period, and when you are revising. Surviving on junk food is not a good idea. For more about the importance of diet and sleep, see our pages on Food, Diet, and Nutrition and The Importance of Sleep. It is also a good idea to take regular exercise when studying. A brisk walk, or more vigorous exercise, will get your blood moving and ensure that you are better able to concentrate. There is more about this in our page on The Importance of Exercise. They say that variety is the spice of life, and it certainly helps to improve your studying. Organising a discussion group with some friends, to consider a particular issue or area. There are more ideas on our page: Revision Skills. Changing the location in which you study—for example, your room, the library at school or college, a quiet café, or someone else’s house—is also good. Research has found that this can help to improve memory retention. It is not clear why, but the suggestion is that the brain makes connections between the background and what you are studying: more different connections makes things easier to remember. You cannot work solidly for 8 hours. In fact, it is very hard to work in a concentrated way for more than about an hour. You may find that some days you can do more, but mostly, one to one and a half hours is likely to be your limit before you need a break. Take 10 minutes periodically to go and get a drink and walk around a bit. Make sure that you have looked at past papers. This will ensure that you are prepared for the type of exam you will be sitting, whether multiple choice, short answer or essay. Know what you are expected to do: for example, how many questions from each section will you have to answer? Of course, you still have to read the instructions on the paper itself, and make sure that they are the same, but this will help you to feel comfortable with what will be expected. Even more important, make sure that you have practised the right type of questions, and know what will be expected of a ‘good’ and ‘bad’ answer. What time does it start, and when do you need to get there? If you have to travel some distance, what time will you need to leave? Also make sure that you know what to do if something goes wrong. You might, for example, be ill on the day, or get held up on the journey, and you need to know who to contact. Take a bit of time at least a week beforehand to make sure that you know the answers to all these questions. This will help you to stay reasonably relaxed, and ensure that you know what to do if something goes wrong, as well as minimising the chances of something going wrong. We all have different ways of working, and that includes preparing for exams. As you get more experienced in taking exams, you will find the ways that work best for you, and learn how best to prepare. In the meantime, these tips should give you a good starting point for study.